Located in The Cap above Interstate 670 at the south end of the Short North, Black Point is a highly regarded prime steakhouse, seafood restaurant, and sushi bar. 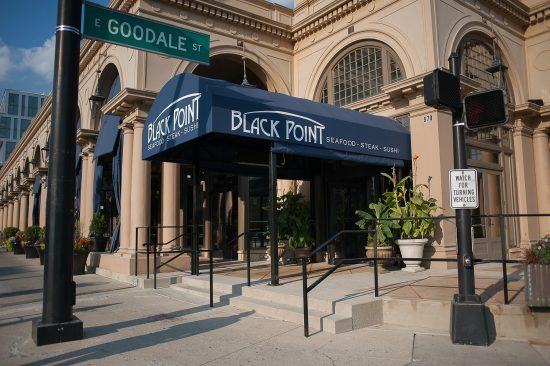 Operated by the Hyde Park family of restaurants, Black Point is a top downtown destination for fine dining. Black Point currently presents live trio jazz performed by some of Central Ohio’s finest musicians every weekend – on Friday nights at 7pm and Saturday nights at 7:30pm. Check our Columbus Jazz Calendar for details on each weekend’s bands.